In Europe or in other countries around the globe, stay in an unusual place gives a unique sensation. Renovated or from origin, these atypical accommodations which are sometimes part of the historical heritage of their region have preserved their by-gone charm to offer you an incredible stay in a perfect luxury with great comfort. Thus, modern equipments within a decoration with furnitures from all over the world will be at your disposal. Going on a vacation in an authentic mill or a sheep ben in which the workers used to give life to their art thanks to these constructions is not an ordinary experience. Renting a castle, a manor or a monastery for a special event, such as a wedding, a birthday or a seminary is offering you the luxury of a exceptional life environment. For you and your guests, these unique places are yours, with unique services. In Brazil or in France, these majestuous buildings allow you to realize your dream of living the château life. Reunite your family or your friends in a large place with enough rooms to welcome everyone. Finally, seeking for unusual is also about looking for incredible properties we can’t see anywhere else. In Italy or in Spain, haciendas and trulli are typical architectures of their countries and are famous in the entire world. With technics and traditions derived from prehistory, these houses have been built as true work of arts. 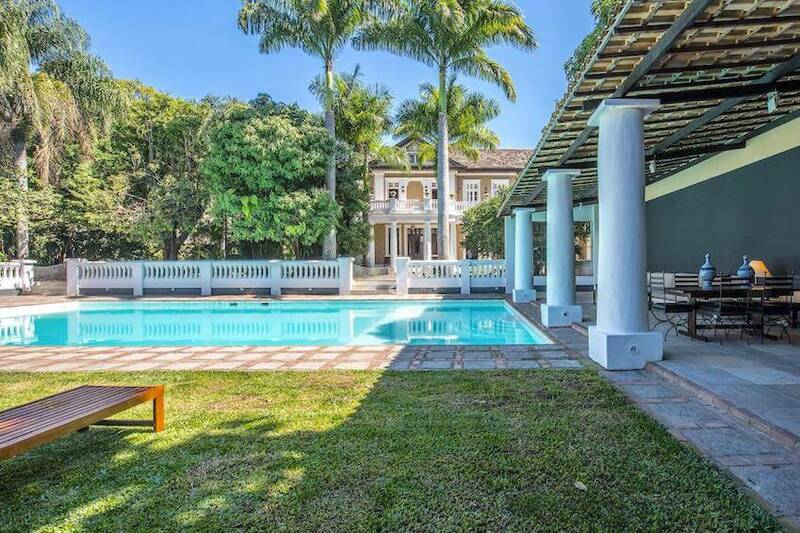 On the edges of Santa Teresa and Gloria neighborhoods, The Manor in Rio is a large colonial manor in Rio de Janeiro which is in the middle of a luxuriant vegetation to enjoy a Brazilian stay in an intimate setting. This property of 3500m2 offers great views over the city and the mountain as well as a large swimming pool with pool house. With its bourgeois style, furnitures have been chosen in an ancient style while still adding some touches of modernity. In sum, it is a pretty and harmonious mix of different styles combined which create this pleasant atmosphere. And, as if it was not enough, it is located only 20 min from the beach by car. In a region which conserved its distinctive and rustic caracter, Villa Doblo breathes the mediterranean atmosphere so appreciated by travelers. Its pink walls softly marked by time and years give it a unique charm with its flowery and colourful park. The seven gardens which surround the property spread seducing perfumes which come from jasmins and bougainvilleas of soft colors. Arabic fountains, basins and large pool add it a graceful touch of and create an ideal environment for parties and celebrations. The harmonious union between nature, art and architecture give to the villa a mesmerizing aspect amplified by the breathtaking view on Palma de Mallorca, on Serra de Tramuntana and on the Cap de Formentor from the terraces and gardens. Recently renovated to offer a modern comfort, it preserves traditional elements of insular architecture in a neo-romantic atmosphere a few kilometers away from the virgin beach, for your greatest happiness. Intimacy and relaxation are available to you in this harmonious place. In the 12th century, the German Emperor Federico Barbarossa ordered the Castello Perugia, a luxurious castle which turned into ruins over time. Today, the owners have renovated the building to create a magnificent property ideal for weddings and private events. 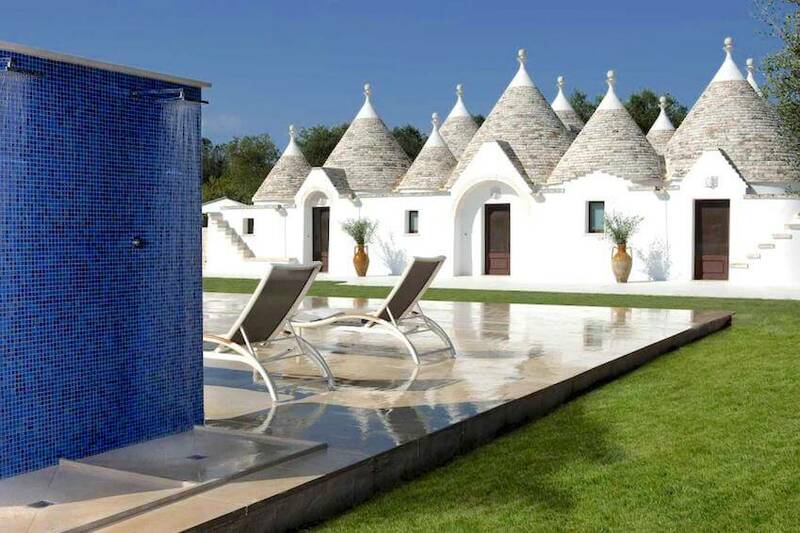 It has been restored by the architect Domenico Minchilli and decorated by Martyn Lawrence Bullard to give a second life to the stones and create an harmonious set in a unique decor in Italy. 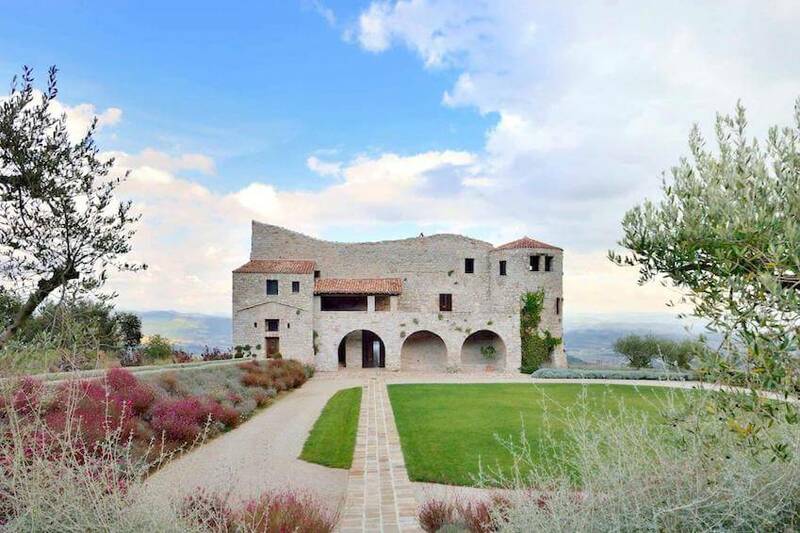 In the heart of Assisi’s countryside, it is an exceptional luxury that is available to you with high range services: professional kitchen, Turkish bath, pool house, fitness center, massage room, sauna and much more. From the terraces, enjoy the view on 5th hectares only a few minutes away from Perugia. In a domain of 600 hectares in the Valley of Orcia, Castello Buonconvento is a historic castle recognized as reference point by UNESCO. Between Siena and Montalcino, it is surrounded by a park of green oak trees accessible by an avenue adorned with cypress trees and which provides a 360° view on the valley from the tour and its panoramic living room. While having preserved its by-gone charm, it has been renovated with modern equipments. The kitchen has however kept its initial style, but has been equipped with modern and functional equipments. Outside in the park, small living rooms are scattered and the private pool owns a shower with deckchairs to relax under the sun. Up to 16 persons, come discover the local products and its excellent wines such as the Brunello di Montalcino and the Nobile di Montepulciano. In the North of Umbria, Villa Magrano is a castle of the 14th century built in the Middle Age to protect the city of Gubbio against Perugia. Nowadays, the property is renovated and is a welcoming house with Italian, French and German furnitures and antique pieces. 5 min away from the small local village, high-standing services and house staff will be at your disposal. You will also be able to benefit from guided visits of the farm and the castle. In a park with hundred-year-old trees, a large lawn and an amazing swimming pool, it is pleasant to have beautiful walks and looking for truffles with local experts or picking mushrooms and fruits in the hood. Property of luxury and charm, the Château de Candice comes from the 19th century 150km away from Paris. In the regional park of Perche, its garden of 2000m2 hosts hundred-year-old trees and corners to relax on deckchairs or hammocks. With a simple and elegant decoration, the interior is made of materials such as stone and wood with refined furnitures. With a capacity of 36 persons, it is made of 3 outbuildings, ideal for vacations with family. In addition to the fact that it is nicely maintained, it has three exceptional elements: a pool, a hammam and a home cinema. In the heart of a large maintained park, the Château de Tourreau, a property of the 17th century, runs over 850 m2 in Provence. The internal courtyard owns a great private pool, beautiful fountains, aviaries and walls covered with jasmine and lemon trees. Also, a farm adjacent to the main building has been renovated and modernised to become rooms, a sport room as well as a squash. The interior kept its ancient decoration with wonderful work of arts and European antique furnitures in large living rooms. Indeed, you will find a reception room, a bookshop of 50m2 and a chapel. Close to the village of Lama in Corsica, Villa II Mulino is an ancient oil mill of the 18th century entirely renovated in the heart of a large garden of olive trees of 1 hectare. Between sea and mountain in the north of Corsica, this property is nicely decorated with an air-conditioned and meticulous interior with great stone arches in the living room. Only 15 minutes away from Ostriconi beach, stay in full nature while enjoying high-range services in a luxurious property with swimming-pool. “An absolute calm. No neighbors. Exteriors: magnificent swimming-pool with very pleasant environment shaded by a great olive tree. Large reception capacity while still being relatively independent.” - Valérie M.
Between the village of Arts en Ré and the sea, the Moulin du Sénéchal is a beautiful property renovated with quality for peaceful vacations in the middle of the fields. From its high tower, you will benefit from a panoramic view on the sea and a large flowery garden. Close to the Gulf of Trousse Chemise and the Center of Thalassothérapie, take your bike to go to the market or in the coastal marches before relaxing on the beach. The villa provides an excellent hotel service staff to share with up to 15 persons. Only a few minutes away from the Palais des Festivals and the Croisette, spend your family vacation in a mill of the 18th century entirely renovated with staff house. In the residential area of La Californie in Cannes, Villa Occitane offers a quiet environment for special events, weddings or private parties in the French Riviera. This beautiful property raises the charm of a historical residence with a contemporary comfort and modern equipments. In these outdoor places, enjoy a private heated swimming pool and a magnificent garden. Push the antique doors of the Chalet Fleur de Lys to discover an old monastery of 1682 transformed in a mountain property with direct access to the slopes. On one of the best spots of the station, this prestigious place used to be a shelter for visitors who wanted to rest. Today, the decoration creates an eclectic and warm atmosphere. Up to 8 persons, enjoy the intimate environment it provides, protected by its stone walls. The rooms that make it up are embellished by hand-made wooden furnitures and splendid paintings. At last, the chalet proposes services of luxurious villas with one indoor and one outdoor swimming pools, a sauna, a jacuzzi and beautiful views on the slopes from the balconies. In the south of Spain, in the middle of rosemary twigs, oleander and roses, white fronts face a hill which runs over the countryside. Hacienda Andaluz got the name of a typical Spanish architecture, more specifically from Andalusia. The word describes agricultural domains of plantations. Indeed, it used to be surrounded by 400 hectares of olive trees with its own mill. Spot of culture, it was also used as a celebration place it its own chapel where weddings took place. Today, its garden remains emblematic of the Andalusian culture with a pool providing a fantastic view. In the east of Sevilla, with its by-gone charm, it ables to have an authentic stay with a high-standing house staff and a private head chef. In sum, tranquility and emotions are waiting for you in this hacienda. In the center of Pouilles in San Michele Salentino, Villa Magnifica is an historic property where luxury, sun and relaxation are kings. Its singular architecture called Truli distinguishes itself by its conical roofs and white pinnacles. Refined, the villa provides a home-sensation, far from the city buzz. Close to Ostuni and Alberobello, it is a real corner of paradise in the heart of the region of Salento. Enjoy an intimate setting to bath in a pool decorated of blue mosaics and relaxation areas equipped with couches and a stereo. Benefit from your stay to discover local farmer products and savour the traditional cuisine of Salentino. In Sardinia, from the top of a cliff which dominates the sea, II Faro is an ancient lighthouse of 1856, constructed by the Italian navy. In the heart of a wild landscape without constructions or buildings, this property of red fronts is isolated on a promontory called Capo Spartivento in the domain of Chia. Open every months of the year, it can welcome up to 12 persons in a luxurious place. Around the villa, a garden of 3000m2 ables to have an outdoor breakfast and enjoy panoramic views on the sea and hills. On one of the terraces, the infinity pool has massaging jet shower to relax you fully facing the blue horizon. Within the same lighthouse, you will find a very large room of 120m2. 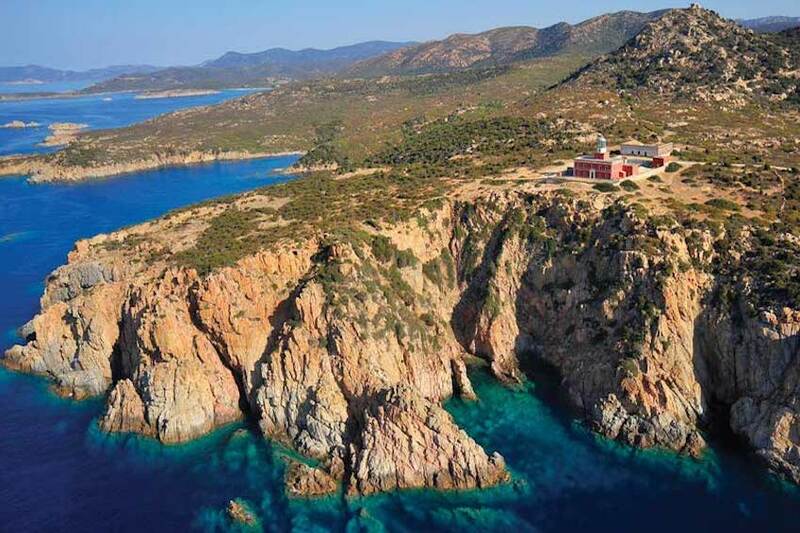 Around, the location of the villa allows you to visit antic ruins of the former guard of the semaphore and the ones inside the island, or the old mines of Piscinas. In Rivedoux-plage, a village of aquaculturists, Villa Cézanne is a former host house listed as Unesco Cultural Heritage. Luminous and comfortable, its interior has been renovated in a modern spirit but kept its interior charm. Near shops and markets, ride your bike to taste the local products of the region. Ideal for family vacations in Ile-de-Ré, it ables to stay a few minutes away from the beach to indulge yourself with nautic sports such as kitesurf and windsurfing. 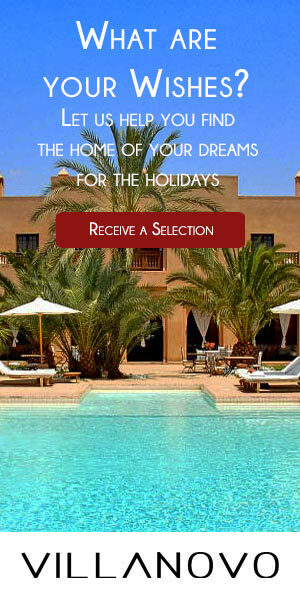 Up to 10 persons, have a nice stay in Le Consulat, a historic house in Essaouira only a few meters away from the Sqala. Outside, its white and blue fronts bring us back to Greece for a moment but it is in the inside that we can admire the beauty of the Moroccan style with arabic mosaics. From the terrace, you will appreciate a beautiful view on the ocean while tasting delicious meals made by the seasonal cook. During your stay in Essaouira, you will get the chance to discover one of the most beautiful beaches of Morocco and colorful markets. On the rhythm of gnaoua, cross the streets of the city and the fishing port, a unique decor. Reconstructed on the ruins of a tour of defense, Villa Torre situates in the center of Umbria, in Italy, two hours away from Florence and Roma. 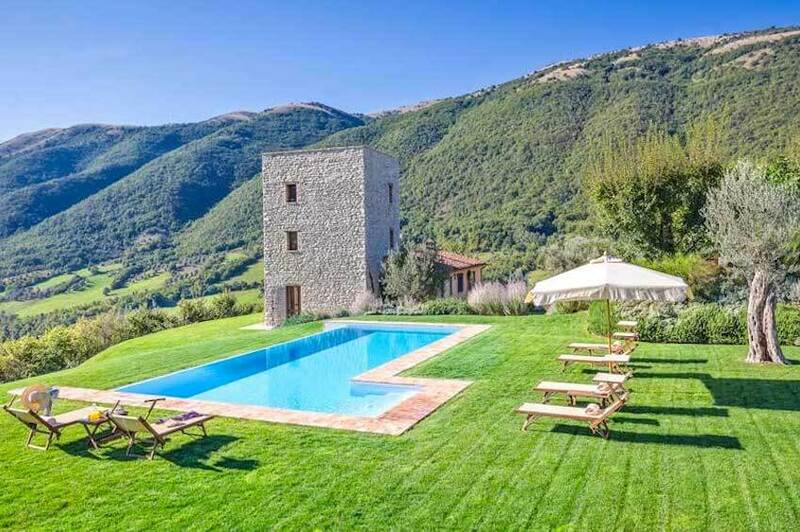 Ideal for a relaxing stay, it is located in one of the most exclusive private domains of Umbria with a perfect comfort and exceptional views on the valleys around. This familial property combines comfort and elegance with a heated infinity pool with jacuzzi which offer panoramic views. In the private garden or from the terrace on the roof, have a rest while appreciating the place. In the surroundings, a multitude of activities and possibilities are available to you in this region of art, history and culture. More exactly, golf enthusiasts could practice their swing on the golf of 18 holes a few minutes from the villa. Our good tip: you can benefit from a 30% discount off on the Antognolla course. In the Dolomites, just as a random construction, Villa Specchio is divided on two artistic and contemporary properties. Its fronts and their mirror effect give us the impression of a building from elsewhere. Outside the city of Bolzano, it has been made by Peter Pichler in the heart of the mountain and wines. Unique vacations are waiting for you with a swimming pool and a private garden. Only a few minutes rom Cala Carbo and Cala Vadella, Villa 880 is a wonderful and ultramoderne property with superb views on the sea. Its particularity? Its futurist design. With glazed rooms and a decoration with blue and green tones, it distinguishes from other villas, high on the hills. Thanks to its situation, you will benefit from incredible views over sunsets on the sea. The property is divided in one main house with two bungalows and terraces. The residents can enjoy the infinity pool with a playground and tennis table. However, one has to know the villa is not adapted to families with young children or babies as it is constructed on several elevated floors. Do not hesitate to contact our villa experts to get more information about these unusual villas!